RAB celebrated its tenth birthday Monday. Tenth! I can’t believe it. Ben, Joe, and I started this site as a hobby and it grew into something far greater than we ever expected. The site has been around for a World Series championship, Derek Jeter and Alex Rodriguez getting to 3,000 hits, Mariano Rivera becoming the all-time saves king … we’ve seen lots of cool stuff these last ten years. Thank you to everyone who has been reading, no matter how long you’ve been with us. For the sake of doing something a little out of the ordinary, let’s look back at the best individual seasons at each position by Yankees players during the RAB era. Who had the best season by a catcher? By a right fielder? That sorta stuff. We launched on February 20th, 2007, so this covers the 2007-16 seasons. Come with me, won’t you? Another easy call. Teixeira’s first season in pinstripes featured a .292/.383/.565 (142 wRC+) batting line and AL leading home run (39), RBI (122), and total bases (344) totals. He went to his second All-Star Game and won his third Gold Glove at first base as well. Teixeira was the MVP runner-up to Joe Mauer, though Teixeira and the Yankees swept Mauer and the Twins in the ALDS en route to winning the World Series. Got the last laugh that year. Both bWAR (+5.0) and fWAR (+5.1) say Teixeira’s 2009 season was far and away the best by a Yankees first baseman since RAB became a thing. Honorable mention goes to a bunch of other Teixeira seasons. The only question at second base was which Cano season to pick. His run from 2009-13 was truly the best five-year stretch by a second baseman in franchise history. Cano hit .313/.379/.550 (149 wRC+) with 33 homers in 2012 while playing 161 of 162 regular season games. He set new career highs in homers, slugging percentage, total bases (345), bWAR (+8.7), and fWAR (+7.6) while tying his previous career high in doubles (48). Robbie was a monster. He went to his third straight All-Star Game and won his third straight Gold Glove, and also finished fourth in the MVP voting. The club’s best season by a non-Cano second baseman during the RAB era belongs to Starlin Castro. Quite the drop-off there, eh? As great as Teixeira was in 2009, he wasn’t even the best player on his own infield that year. The Yankees flip-flopped Jeter and Johnny Damon in the batting order that season and the Cap’n responded by hitting .334/.406/.465 (130 wRC+) with 18 home runs and 30 steals in 35 attempts as the leadoff man. It was also the first (and only) time in Jeter’s career the fielding stats rated him as above-average. I remember thinking Derek looked noticeably more mobile in the field. That was the year after Brian Cashman reportedly told Jeter the team would like him to work on his defense after finding out Joe Torre never relayed the message years ago. The 2009 season was the second best of Jeter’s career by fWAR (+6.6) and third best by bWAR (+6.5) behind his monster 1998-99 seasons. The Cap’n was an All-Star that year and he finished third in the MVP voting behind Mauer and Teixeira. The single greatest season by a Yankee not just during the RAB era, but since Mickey Mantle was in his prime. I went to about 25 games that season and I swear I must’ve seen A-Rod hit 25 home runs. He went deep every night it seemed. Rodriguez hit .314/.422/.645 (175 wRC+) that summer and led baseball in runs (143), home runs (54), RBI (156), SLG (.645), OPS+ (176), bWAR (+9.4), and fWAR (+9.6). All that earned him a spot in the All-Star Game (duh) and his third MVP award (second with the Yankees). A-Rod received 26 of the 28 first place MVP votes that year. The two Detroit voters voted for Magglio Ordonez. For reals. What an incredible season this was. I’ve never seen a player locked in like that for 162 games. Alex was on a completely different level than everyone else in 2007. With all due respect to Damon, who was outstanding for the 2009 World Series team, 2010 Gardner was better than 2009 Damon. Gardner hit .277/.383/.379 (112 wRC+) with five home runs and 47 steals that season to go along with his excellent defense. Damon, meanwhile, hit a healthy .282/.365/.489 (122 wRC+) with a career high tying 24 home runs and 12 steals in 2009. His defense was so very shaky though. Remember how he used to take those choppy steps that made it seem like he had no idea where the ball was? Both bWAR (+7.3 to +4.2) and fWAR (+6.1 to +3.6) say 2010 Gardner was better than 2009 Damon, but forget about WAR. Gardner got on base much more often and was the better baserunner. I think that combined with the glove more than makes up for Damon’s edge in power. Honorable mention goes to Matsui’s .285/.367/.488 (124 wRC+) effort with 25 home runs in 2007. Remember how much Granderson struggled the first four and a half months of the 2010 season? He was hitting .240/.307/.417 (91 wRC+) with ten homers in 335 plate appearances prior to his career-altering pow wow with hitting coach Kevin Long that August. Granderson made some mechanical changes and hit .259/.354/.560 (144 wRC+) with 14 homers in 193 plate appearances the rest of the way. He went from a passable outfielder to one of the game’s top power hitters seemingly overnight. That success carried over into 2011, during which Granderson hit .262/.364/.552 (146 wRC+) with 41 home runs. He led the league in runs (136) and RBI (119), went to the All-Star Game, and finished fourth in the MVP voting. My man. We’re picking between Swisher seasons here, and I’m going with 2010 over 2012. Swisher managed a .288/.359/.511 (134 wRC+) line with 29 home runs in 2010, making it the best offensive season of his career. Add in right field defense that was better than Swisher got credit for, and you’ve got a +3.7 bWAR and +4.3 fWAR player. Right field lacks that big eye-popping season like the other positions during the RAB era. Swisher was reliably above-average but not a star. That’s really close! Matsui hit for a higher average and got on-base more, though A-Rod had more power. A lefty hitting 28 homers in Yankee Stadium isn’t as impressive as a righty hitting 33, even when considering the 92 extra plate appearances. Since they’re so close, I’m fine with using the postseason as a tiebreaker. Matsui was excellent in October while A-Rod went 0-for-4 with two strikeouts in the Wild Card Game loss to the Astros. Tie goes to the World Series MVP. Look good? It does to me. Dave Pinto’s lineup analysis tool tells me that lineup would average 6.87 runs per game, or 1,113 runs per 162 games. The modern record for runs scored in a season is 1,067 by the 1931 Yankees. (Several teams from the 1800s scored more.) The 1999 Indians were the last team to score 1,000 runs. They scored 1,009. Chien-Ming Wang’s 2007 season as well as a few more Sabathia seasons (2010 and 2012, specifically) were among the final cuts. Late career Andy Pettitte was steady and reliable, but he didn’t have any truly great seasons from 2007-13. Sabathia is the gold standard for Yankees starting pitchers during the RAB era. From 2009-12, he was the club’s best pitcher since guys like Pettitte, Mussina, David Cone, and Roger Clemens around the turn of the century. Mussina had that marvelous farewell season and Tanaka was awesome last year. Kuroda? He was the man. One-year contracts don’t get any better than what he did for the Yankees. The Yankees haven’t had an all-time great pitcher during the RAB era, a Clayton Kershaw or a Felix Hernandez, someone like that, but they had four years of a bonafide ace in Sabathia plus several other very good seasons. Everyone in the table except Kuroda received Cy Young votes those years. Sabathia finished fourth in the voting in both 2009 and 2011. So many great relief seasons to choose from. I had to leave out several Rivera seasons (2007, 2010, 2011, 2013), several Robertson seasons (2012-14), a Miller season (2016), a Rafael Soriano season (2012), and even a Phil Hughes season (2009). Remember how great Hughes was in relief in 2009? Hughes and Rivera were automatic that year. The Yankees have been blessed with some truly excellent relievers these past ten years. The great Mariano Rivera retired and somehow they have replaced him seamlessly. We’ve seen some amazing performances since launching RAB. The Yankees are now in year three of the post-Robinson Cano era. The team has lacked a dominant offensive force since Cano left and it’s been painfully obvious at times. It wasn’t until this season that the Yankees finally found a long-term replacement at second base in Starlin Castro too. We all knew losing Robbie was going hurt. It wasn’t a surprise. Based on everything we heard at the time, Cano would have taken a discount to remain with the Yankees, but not a big one. He wanted to get paid and that was his right. The Yankees maxed their offer out at seven years and $175M before the Mariners blew them out of the water at ten years and $240M. How could Cano say no to that? Seattle made the decision easy. A friend of Cano’s told Mark Feinsand that Robbie was willing to take a larger discount than originally reported to remain in New York, however. The friend says Cano would have taken an eight-year deal at $200M, which is the Yankees’ final offer plus one additional year at the same average annual value. This is second hand information, it’s not coming directly from Cano, so take it with a grain of salt. This news about Cano’s willingness to take a larger than reported discount doesn’t really change anything. He’s still a Mariner and the Yankees can’t have a do-over. I wouldn’t say the report raises some questions, but it does spark some thought. Three things immediately jumped to mind when I read what Cano’s friend told Feinsand. 1. Leaving $40M on the table would have been, uh, bold. I have a hard time believing Cano would have really taken $200M from the Yankees over $240M from the Mariners. This isn’t Andrew Miller turning down an extra $4M from the Astros to sign with the Yankees. We’re talking about $40M. Hey, Robbie had already made a lot of money at that point of his career, so maybe he really would have turned down an extra $40M (!) to stay in New York. It just seems so very unlikely, right? How does anyone turn down that much money? The MLBPA would have crushed Cano too. They would have been so pissed. I don’t doubt Feinsand’s reporting. I doubt Cano’s friend. This one doesn’t pass the sniff test. 2. Even at that price, passing on Cano was smart. Okay, so let’s say Cano really would have come back on an eight-year deal at $200M. Does that mean it would have been a good idea? Only if the goal was to get better value than the deal he took from the Mariners. We’re still talking about a player who had just turned 31 and averaged 160 games a year at a physically demanding position. The wear and tear could not be ignored. Cano was truly great for the Yankees from 2009-13. The Yankees wouldn’t be getting 2009-13 Cano though. They would have been signing 2014-21 Cano, the guy who unquestionably would have been on the downside of his career. Robbie is having an excellent season to date (155 wRC+) but last season the Mariners got a scare when he put up a 116 wRC+ and barely resembled the Cano from the last half-decade. A contract of that size means you end up holding your breath an awful lot. That 2013 season was a big wake up call for the Yankees. Mark Teixeira’s wrist gave out, CC Sabathia’s performance collapsed, and Alex Rodriguez’s (other) hip gave out. The huge money contracts all started to go bad at once. Cano was great, but so were Teixeira and Sabathia and A-Rod once upon a time. Even at the “discount” rate of eight years and $200M, the Yankees were smart to not want pay big money through Cano’s decline years. 3. The problem wasn’t letting Cano walk, it was replacing him with Ellsbury. The Yankees essentially signed Jacoby Ellsbury to replace Cano, and that was bad. Now they’re going to end up paying big for someone’s decline years anyway. I know Ellsbury has been hitting well these last few weeks, but overall, his time in pinstripes has been largely forgettable. Give the Yankees a truth serum and I’m sure they’d tell you they’d like a do-over. If given the choice between Ellsbury at seven years and $153M and Cano at eight years and $200M, give me Cano each and every time. I’d rather see the Yankees pony up for the elite homegrown player. Letting Robbie walk was a smart move long-term. The problem is the Yankees signed Ellsbury to replace him, so they still wound up with an expensive player heading into his mid-30s, except this one isn’t as good as the guy they had. The Yankees wanted to get back into contention in 2014 though, so when Cano walked, they pounced on Ellsbury. Blah. The rational business side of baseball and the emotional fan side of baseball don’t always see eye to eye. I would have loved nothing more than to cheer Cano on as he chased 3,000 hits in pinstripes and cemented his place in Monument Park. At the same time, I understand committing huge bucks to Robbie’s age 31+ seasons was not a good idea. I can’t imagine the Mariners are looking forward to the remaining seven years of his contract. I have a tough time believing the friend who says Cano would have taken eight years and $200M to return to the Yankees. That’s too steep of a discount. Either way, it doesn’t matter now. Cano is in Seattle and the Yankees are worse off without him in the short-term and better off without him in the long-term. That was always going to be the case. In the outfield on a fly ball or line drive, in the infield on a hop, or at the plate anticipating a pitch, being caught in between rarely yields positive results. Sure, you can make a recovery from a bad read, make a diving stop on a grounder, or foul off what you thought was a breaking ball but was really a fastball, but those are the exceptions to the rule; nine times out of ten, the ball will sail over your head, skip over your shoulder, or be strike three, sending you back to the dugout looking just as foolish as if you misplayed a ball or got a bad hop. Being caught in between during the course of a game is bad; being caught in between in the roster-building process is even worse. Whether on here through the offseason or on Twitter during April’s struggles for the Yankees, I’ve maintained a fairly positive view of the team. And in general, I still hold to that; I think they’ll wind up in the wildcard game again, though that’s getting harder and harder to justify as the team continues to not score at a prolific pace. But given the way this team is built right now, where they are now–right in between–is just about where they should be. Is it possible that 2015 was the one out of ten I referred before? Is that season the diving catch? The lucky grab? The desperate foul-off? Since 2013, the Yankees have been attempting a rebuild-while-still-competing thing that has gone better than most teams’ attempts at that have, as they’ve managed to win 80something games each time and generally avoid being a complete embarrassment. That’s good enough for mediocrity, but it’s not good enough for future strength and it’s not good enough for present results. The rebuild has been caught in between, despite the ostensibly admirable goal of looking to get younger and more flexible. After 2013, the Yankees could’ve kept to that and their goal of spending less money, but they went out and signed Jacoby Ellsbury, Brian McCann, and Carlos Beltran instead of retaining their own player in Robinson Cano. Not wanting to sign Cano to a ten-year contract is completely defensible and I understand why the Yankees didn’t, especially in a post-Alex Rodriguez and Albert Pujols deals world. But to follow that up with signing three expensive players–one of whom has been borderline disastrous thus far–is the height of cognitive dissonance and a sign of a lack of commitment to a plan. If you’re going to spend, spend wisely. If you’re not going to spend, just don’t spend. For a team that hasn’t made the playoffs in two of the last three years, the Yankees have surprisingly little to show for it. They haven’t drafted high. They don’t have a stocked farm system with prospects ready to make an impact with a reasonable chance of sustaining that impact, though, in fairness, that stems from their years of legitimate contention between 2009-2012. But at the same time, their Major League team isn’t quite good enough to compete for a championship. I’m not saying championship or bust; hat mindset led to a completely barren farm system and a fanbase that’s seemingly unwilling to sit through a rebuild. However, what satisfaction is there in being perpetually just good enough to compete for the wildcard? It’s time for the Yankees to move out of being caught in between. Either flex the financial muscle that is so much stronger than any other team’s and be that behemoth of the past, or commit to an actual rebuild. No more half measures. A Daily Digest reader sent in such a phenomenal question that I had to answer it for everyone. It’s the perfect end to Retro Week. Jimmy asks: If you had to build a team choosing one player from each decade (e.g. one from the 1920’s, one from the 1930’s, etc.) to fill out all 9 fielding positions plus a DH, who would you pick? The problem is that there are 10 decades (including the current one, which I’m using) and only 9 starting positions. So I’m going to throw in one starter here. Let’s start out with the obvious ones, shall we? I don’t have to spend time justifying this one, do I? This and the next one were the slam dunkiest of picks. Gehrig was actually better in the 30s (181 OPS+) than he was in the 20s (174 OPS+). His 1934 through 1937 seasons are one of the most dominant stretches in baseball history (187 OPS+), during which he led the league in OBP all four years, led in OPS three out of the four, led the league in homers twice, and won a batting title. In 1934 he led the league in BA, OBP, SLG, OPS (naturally), HR, and RBI, yet finished fifth in the MVP voting because…no, seriously, someone find the 1934 voters. We need an explanation. Even teammate Lefty Gomez got more first place votes, which is just bizarre. Anyway, Gehrig was probably the most dominant player of the 1930s. He led the way in Offensive WAR (because there is no way you’re getting me to factor defense into analyzing the 30s), trailed closely by Jimmie Foxx. I suppose you could make an argument that Foxx was the most dominant player, but it’s really him or Gehrig. At this point I had to start making a graph of who I was picking where. Do I go with DiMaggio as the CF in the 40s, or Mantle as the CF in the 50s? As it turns out, the 50s was a crowded time. If I wanted to use Mantle in CF, I’d pretty much have to use Charlie Keller as my 40s guy in LF. After mapping it out, I stuck with DiMaggio. Originally I had Yogi here, and there wasn’t much thought in my mind to change it. Then I realized that pitcher would be the toughest position to fill. Sorry to say, but it was easier to flip out Yogi for Whitey than it was to flip out Ruth, Gehrig, or DiMaggio for Ruffing, Gomez, or Hoyt. I still think it all works out for the better. Probably my weakest pick, but for good reason. For a while I had Roy White as LF in the 70s and Elston Howard as C in the 60s, but the difference in production is just too great. I love Howard, but Thurman Munson just dominated in the 70s. Tresh held his own in the 60s though, so he’s a fine pick, if not the flashiest. I did not know this: White has the most Offensive WAR of any Yankee who has played at least 50 percent of his time in left field. It was tempting to go with him here, but Munson was just a powerhouse in the 70s. He led the team in WAR, and is right with Posada, behind Berra and Dickey, as the one of the greatest catchers in Yankees history. We now reach the most fudged selection of the group. My initial inclination was to go with Giambi in the 2000s as DH, but then I realized that was stupid. A-Rod is the best-hitting 3B in Yankee history by no small margin. Again, could have gone Nettles in the 70s, but then I have to go with a lesser LF from the 80s. And, well, there were no Yankees with 1,500 PA who got half their time at LF in the 80s. Seriously, zero. Winfield qualified for DH in that he got more than 25 percent of his at-bats there in the 80s. I’m not particularly proud of this pick, but it’s what works. By this point you can see what positions and decades remain and guess my three picks. So I’ll just list them. Hate him? Fine. But he won two MVPs and led the team to its first World Series in nearly a decade. Wah wah Graig Nettles wah wah. Cano took a huge step forward in 2010, which is convenient for this list. He is 10 Offensive WAR against the next-best Yankee hitter from the decade (Curtis Granderson), which makes me really depressed about the 2010s Yankees. How did I do? Let’s look at the Yankees Offensive WAR leaders by decade to see how many wins they produced. Before looking I’m pretty sure I got near the top guy in each decade. Note, this is the WAR produced with the Yankees in that decade only. Note: Jeter actually produced more WAR, almost double, in the 00s (the most on the Yankees), but that creates a problem in the 90s. Only Bernie and O’Neill ranked ahead of him in Offensive WAR. O’Neill is right out, and to swap out Bernie would be to pick Keller in the 40s. That leaves 3B to the 60s, which means Clete Boyer, which is just not happening. This is a balancing act. Going Bernie-Jeter in 90s-00s makes the team weaker elsewhere. If you think you can produce more than the 431.6 cumulative Offensive WAR of this squad, be my guest. But I’m pretty sure this is the best team, under the given circumstances, that you could create. Over the last … I don’t know … five or ten years, the Yankees have been criticized quite heavily for their player development failures and deservedly so. They haven’t developed many useful homegrown pieces of late, and I don’t just mean stars. They’ve struggled to produce even average players who could fill in on the cheap. Things have been a little better recently but for a long time there the system was barren. At the turn of the century, the Yankees had a great farm system headlined by Alfonso Soriano and Nick Johnson. Things really started to thin out by 2003, however, mostly because the team was trading away all their good young players and forfeiting first round draft picks to sign free agents. In 2002, Baseball America ranked New York’s farm system as the 5th best in baseball. Then, from 2003 through 2006, they ranked 17th, 27th, 24th, and 17th. That’s bad. The Yankees shot back up to 7th in 2007 thanks to their outstanding 2006 draft class, which produced ten big leaguers overall and five regulars. What Happened: In 2002, a then-23-year-old Rivera hit .325/.355/.502 with 21 doubles and eight homers in only 65 games with Triple-A Columbus before playing almost everyday in the Bronx as a September call-up. Rivera went up and down a bunch of times in 2003 and was then traded to the Expos in the Javy Vazquez deal after the season. He spent one year in Montreal before being traded to the Angels. Rivera played in parts of 12 MLB seasons and hit .274/.323/.443 (102 OPS+) with 132 homers and 9.5 bWAR. Not a bad outcome at all. What Happened: The Yankees bought Sardinha away from Pepperdine with a $1M bonus as the 34th pick in the 2001 draft. He hit .279/.362/.427 with 16 homers and 19 steals in 129 games spit between Short Season Staten Island and Low-A Greensboro in 2002, then he sorta stopped hitting. Sardinha put up a .239/.333/.353 batting line between Low-A Battle Creek and High-A Tampa in 2003 before stagnating in the minors for a few years. He did reach the big leagues though, going 3-for-9 in ten games with the 2007 Yankees. Sardinha has been out of baseball since 2011. Fun fact: His middle name is Kiheimahanaomauiakeo. Seriously. What Happened: Ah the good ol’ draft-and-follow system. Back in the day, teams could draft a player, keep tabs on his progress in junior college the following spring, then decide whether to sign him. Andy Pettitte and Jorge Posada were both draft-and-follows. The draft-and-follow system died when MLB implemented the signing deadline a few years ago. It was a good run. Anyway, Claussen returned from Tommy John surgery at midseason in 2003 and was never quite the same, showing less stuff and not missing nearly as many bats (65 strikeouts in 95.2 innings in 2003). The Yankees called him up for a spot start against the Mets in late-June (two runs in 6.1 innings) then traded him to the Reds for Aaron Boone at the deadline the following month. Claussen spent three seasons in Cincinnati (86 ERA+ in 309.2 innings) and bounced around the minors until 2007. Tommy John surgery: not without risk! What Happened: Henson was my first real head over heels prospect crush. I thought he would be a megastar. He hit .240/.301/.435 with 18 homers in 128 games for Triple-A Columbus in 2002 — the Yankees traded Henson to the Reds for Denny Neagle in July 2000 and reacquired him for Wily Mo Pena in March 2001 — and then hit .234/.291/.412 with 14 homers in 133 games for Columbus in 2003. He went 1-for-9 in two MLB cups of coffee. After the 2003 season, Henson announced his retirement from baseball and decided to go play football, quarterbacking for the Cowboys, Vikings, and Lions from 2004-08. He’s now a hitting coach for one of the Yankees’ two rookie level Gulf Coast League minor league affiliates. What Happened: Wang missed the entire 2000 season due to a shoulder injury, which prompted that quote in Baseball America’s write-up. He stayed healthy in the minors from 2003-05 and was just okay (4.00 ERA in 308.1 inning) before getting called up to MLB in May 2005. Wang pitched to a 3.79 ERA (117 ERA+) with 15.4 bWAR from 2005-08 for the Yankees. Then he hurt his foot running the bases. Then he blew out his shoulder. CMW is still kicking around in the minors — he signed a minor league deal with the Braves a few weeks ago — but he hasn’t been effective at all since hurting his foot in 2008. For shame. What Happened: Cano hit .276/.319/.437 with 15 homers between Short Season Staten Island and Low-A Greensboro in 2002. Then he hit .277/.322/.374 with six homers between High-A Tampa and Double-A Trenton in 2003. That’s not very good! Cano improved a bit with Trenton and Triple-A Columbus in 2004 (.283/.339/.457 with 13 homers) and, before you knew it, he was hitting .342 in the big leagues by 2006. Robbie was an MVP candidate with the Yankees from 2010-13 before signing a ten-year, $240M contract with the Mariners last offseason. We know nothing about prospects. What Happened: Despite that low mileage, Borrell blew out his shoulder in 2003 and continued to battle injuries until he retired following the 2008 season. He threw only 282.1 ineffective minor league innings (4.53 ERA) the rest of his career after being dubbed the team’s seventh best prospect by Baseball America. Borrell has been working as a pitching coach and pitching coordinator in New York’s farm system for several years now. What Happened: The Yankees acquired DePaula from the Rockies for Craig Dingman (Craig Dingman!) back in 2001 and he developed into a quality pitching prospect from 2001-03. He spent most of the 2013 season in Triple-A (4.35 ERA in 167.2 inning) and got a September call-up, allowing one run on three hits and one walk in 11.1 innings. DePaula made the Opening Day roster in 2004 but blew out his elbow that April and needed Tommy John surgery. He returned in 2005 and just kind of sputtered. The Yankees cut him loose after 2006 and he bounced around the minors until 2009. (DePaula pitched in Mexico as recently as 2012.) DePaula retired with a 4.00 ERA (114 ERA+) in 27 big league innings, all with New York from 2003-05. What Happened: After hitting .306/.351/.397 with three homers in 59 games for the rookie GCL Yanks in 2002, Guillen hit .260/.311/.414 with 13 homers in 133 games with Low-A Battle Creek in 2003, which was pretty good for a 19-year-old in full season ball. After that though, Guillen hit .259/.302/.359 with 20 homers from 2004-07 and simply didn’t develop. He played a total of 49 games above Single-A ball, all with Double-A Trenton. Guillen has been out of baseball since 2007. Yet another reminder to not get worked up over rookie ball stats. What Happened: Henn returned from elbow reconstruction in 2003 and was pretty rough, striking out 62 and walking 40 in 80.1 innings. The next season he had a 4.41 ERA with 118 strikeouts and 63 walks in 163.1 innings with Double-A Trenton. Henn got to MLB for the first time in 2005 and allowed 16 runs in 11.1 innings. He walked eleven and struck out three. Three! Henn went up and down in both 2006 and 2007 and wasn’t any good — 37 runs allowed with 35 strikeouts and 32 walks in 46 innings. Eventually the Yankees gave up and put Henn on waivers. The Padres claimed him and he’s been bouncing around since. Henn last played with the Mets in 2013. Like, the big league Mets, not their Triple-A team. Classic case of a guy with a big arm who never figured it out but kept getting chances because he’s a lefty. What Happened: After hitting .321/.376/.469 with seven homers in 110 games as a 19-year-old for High-A Tampa and Double-A Trenton in 2003, Navarro slipped down to .263/.341/.366 with four homers in 110 games for Trenton and Triple-A Columbus in 2004. The Yankees called him up in September then traded him to the Diamondbacks for Randy Johnson after the season. Arizona flipped him to the Dodgers for Shawn Green and the Dodgers flipped him to the (Devil) Rays for Toby Hall and Mark Hendrickson. 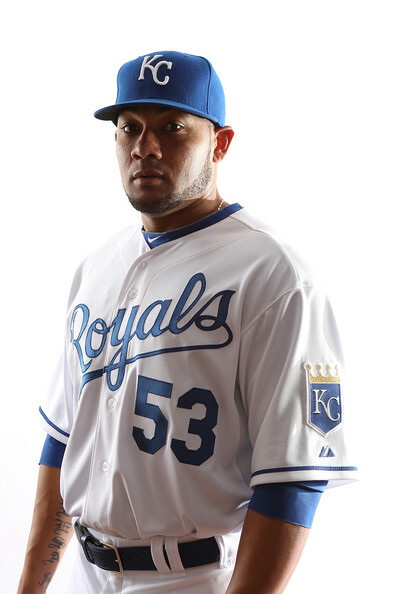 Navarro’s been in the show on and off since 2004 and is a career .255/.313/.375 (85 OPS+) hitter with 7.4 bWAR. What Happened: Duncan had a really good year in 2004, hitting .258/.357/.473 with 16 homers in 123 games while climbing from Low-A Battle Creek to Double-A Trenton. He was only 19 too. Duncan hit 19 homers in 2005 but his slash line (.235/.326/.408) was pretty ugly. The Yankees had him in Triple-A by age 21 and he just stopped hitting, putting up a .226/.290/.343 line with in parts of four seasons at the level. Duncan had serious power but not much else. It didn’t help that the team rushed him up the ladder in an effort to boost his trade value. What Happened: As you may know, Arias was traded to the Rangers along with Alfonso Soriano for Alex Rodriguez in February 2004. Texas selected him from a pool of prospects that also included Cano. Yankees got lucky there, eh? Arias had some nice upside but didn’t develop as hoped. He bounced from the Rangers to the Mets to the Giants, where he’s been since 2012. Arias is a career .269/.298/.354 (82 OPS+) hitter with 0.9 bWAR. Two World Series rings though. What Happened: Ramirez has a weird back story. He was originally outfielder but converted to pitcher after signing with the Hiroshima Carp in 2002. The Carp posted him in March 2003 after a strong winter ball showing and the Yankees won his rights with a $350,000 bid. They signed him for $175,000 and he pitched to a 4.83 ERA in 284.2 innings at three minor league levels from 2003-04, then was traded to the Rockies for Shawn Chacon in 2005. Ramirez is still active — he pitched in one game for the Orioles last season but spent most of the summer in the minors — and has a 3.42 ERA (125 ERA+) with 6.9 bWAR in 434.2 career innings, all in relief. Not a bad little career. What Happened: So Arias with less bat, got it? Tejeda had some nice defensive skills but man he didn’t hit at all — .220/.288/.247 in 94 games at High-A and Double-A in 2004 — so much so that the Yankees stuck him on the mound in 2005. He had a 1.80 ERA with 15 strikeouts in 15 innings for the GCL Yankees in 2005 and was lost on waivers to the Padres that summer. Tejeda’s been out of baseball since 2008 and only played 30 games above Single-A ball. What Happened: Shockingly, the Yankees went against the grain in the draft and it didn’t work. Harris hit .221/.306/.368 with ten homers and 153 strikeouts in 113 games split between three levels of Single-A in 2004 and was playing in an independent league by 2007. He’s been out of baseball since 2011 and hit .218/.296/.365 with a 30.7% strikeout rate in 327 games with the Yankees, none above Low Class-A. What Happened: We all know what happened, but man, Hughes was the bomb back in the day. He had a 2.19 ERA with 93 strikeouts and 20 walks in 86.1 innings for Low-A Charleston and High-A Tampa as a 19-year-old in 2005 then had a 2.16 ERA with 168 walks and 34 strikeouts in 146 innings for Tampa and Double-A Trenton in 2006. Baseball America ranked him the top pitching prospect in the game before the 2007 season. Well, top non-Daisuke Matsuzaka pitching prospect. Hughes had a (very) up and down tenure in New York but seems to have found himself with the Twins after leaving as a free agent last winter. What Happened: White was a four-year college guy with okay stuff who got overrated as a prospect pretty quickly because he dominated Low-A Battle Creek and High-A Tampa as a 23-year-old (!) in 2004 — 2.61 ERA in 117.1 innings. He had a 4.45 ERA with a weak 16.9% strikeout rate from 2005-08, though he did at least reach Triple-A. White’s been out of baseball since 2008. The lesson here: age relative to level is important! Garcia got hurt again in 2013 and has thrown only 27.2 innings the last two seasons. Washington released him last June and from what I can tell, he’s still a free agent. Great, great arm. Just couldn’t stay healthy. Pitching prospects, man. What Happened: Well, no, Vechionacci couldn’t hit. Or at least he didn’t. He followed up his strong 2004 season (.319/.390/.454) with a .252/.314/.348 line and two homers in 128 games for Low-A Charleston in 2005. From 2005-09, Vechionacci put up a .245/.314/.345 batting line before having a nice dead cat bounce season with Double-A Trenton in 2010, hitting .283/.350/.421 with eleven homers in 114 games. People asked if he was regaining prospect status. I said no. They mocked at me. Vechionacci became a minor league free agent after that season, no team bothered to sign him, and he’s been out of baseball since. So no, he didn’t regain prospect status. Jerks. What Happened: Melky has turned into a nice little player. His cup of coffee in 2005 was a total disaster, he looked like a deer in the headlights, but in 2006 he hit .280/.360/.391 (95 OPS+) while filling in for the injured Hideki Matsui and Gary Sheffield. Cabrera hit .267/.323/.385 (84 OPS+) from 2007-09, got traded to the Braves for Javy Vazquez, got fat, got released by Atlanta, signed with the Royals, got less fat, and has hit .309/.351/.458 (124 OPS+) since. Melky is a career .286/.339/.415 (103 OPS+) hitter with 17.7 WAR and just signed a three-year, $42M deal with the White Sox. Too bad he didn’t figure it out while in pinstripes. By the way, when he was Melky’s age, Vidro had 17.0 WAR. Freaky. What Happened: Tabata was peak Yankees Hype Machine. There were Manny Ramirez comps flying around and they were ridiculous. Tabata did hit though, at least at first. He authored a .298/.377/.420 line in 86 games with Low-A Charleston in 2006, his age 17 season, and Baseball America ranked him as the 27th best prospect in the game after the season. Then he hit .307/.371/.392 in 103 games with High-A Tampa the next season. Tabata was not without his issues, however. He had been insubordinate — he literally left the stadium in the middle of a game while with Double-A Trenton in 2008 because he didn’t like a strike three call — and there were always whispers he was older than believed. Those whispers still exist too. Anyway, the Yankees got fed up with Tabata’s act and traded him to the Pirates in the Damaso Marte/Xavier Nady deal in 2008. He’s a career .275/.336/.379 (99 OPS+) hitter with 2.5 bWAR in part of five seasons. Tabata never developed any power and the off-the-field issues persist. The Yankees did well to cash him in as a trade chip when they did. What Happened: Henry was a great athlete who split his time between baseball and basketball in high school, and the lack of experience showed in pro ball. He didn’t hit at all. Henry had a .240/.330/.353 line with a 27.2% strikeout rate in 77 games with Low-A Charleston when the Yankees cut bait and sent him to the Phillies as part of the package for Bobby Abreu in 2006, one year after drafting him. Henry briefly returned to the organization in 2008 but never made it out of Single-A ball. He played college hoops from 2009-11 at Kansas and Southern Nazarene University, tried independent ball in 2003 (.332/.410/.523!) and has been out of sight since. I thought Henry was a great pick at the time (17th overall), he was loaded with tools, it’s just didn’t work out. What Happened: The 2006 season at Low-A Charleston was a little rough (.260/.340/.346 with 151 strikeouts) but Jackson broke out in 2007 and was one of the team’s very best prospects before being traded to the Tigers for Curtis Granderson during the 2009-10 offseason. Jackson is a career .274/.336/.402 (101 OPS+) hitter with 19.9 bWAR in five MLB seasons. He’s turned into exactly the player he was projected to be. Sometimes it all makes sense. Nunez was traded to the Twins last year and did more of the same in Minnesota (82 OPS+ and 0.3 bWAR) while also playing some outfield. If nothing else, he was a goofy guy good for some comic relief. But geez, Nunie’s defense was gross. What Happened: Marquez was a pretty good pitching prospect who had solid yet unspectacular years in 2006 (3.58 ERA in 98 innings) and 2007 (3.65 ERA in 155.1 innings) while climbing from High-A Tampa to Triple-A Scranton. He struggled in 2008 (4.47 ERA in 102.2 innings) and the team sent him to the White Sox as part of the package for Nick Swisher after the season. Marquez returned to New York on waivers in 2011 and allowed one run in five innings for the team that summer. He’s been out of baseball since 2012. What Happened: Clippard was a pretty polarizing prospect back in the day because he had gaudy minor league numbers but the scouting report was just meh. He manhandled Double-A in 2006, posting a 3.35 ERA with 175 strikeouts in 166.1 innings, and although he sorta stunk with Trenton and Triple-A Scranton the following year (4.50 ERA with 83 strikeouts in 96 innings), the Yankees called Clippard up and he beat the Mets in his MLB debut. The Yankees traded Clippard to the Nationals for Jonathan Albaladejo after the season and that trade has been a disaster. Albaladejo mostly stunk in pinstripes and Clippard took off when Washington moved him into the bullpen full-time in 2009. He’s been one of baseball’s elite relievers ever since, pitching to a 2.64 ERA (150 ERA+) with 10.1 bWAR in an absurd 453.2 innings from 2009-14. Quite the blunder by the Yankees. Oh well. You win some and you lose some. Baseball America ranked 27 different players among New York’s top ten prospects from 2003-06, and, of those 27, there is one superstar (Cano), two above-average players (Wang and Clippard), five solid big leaguers (Jackson, Melky, Rivera, Navarro, Hughes), four spare part big leaguers (Arias, Ramirez, Nunez, Tabata), and 15 others who either flamed out or got hurt or turned into up-and-down guys. Other players ranked among the team’s top 30 prospects in Baseball America’s Prospect Handbook from 2003-06 were IF Andy Phillips, OF Marcus Thames, RHP Scott Proctor, OF Brett Gardner, RHP Jeff Karstens, and the late LHP Brad Halsey. Gardner’s the prize there. More than anything, I think this little exercise shows just how ridiculously difficult it is to project future MLB success. Ranking prospects is a fool’s errand but hey, it’s fun and people love rankings, so everyone does it anyway. Quality MLB players come in all shapes and sizes and have all sorts of different backgrounds. Jackson was a basketball prospect who became a big league center fielder. Arias was a stud shortstop prospect who now can’t hit his weight. Navarro looked like a monster who turned into a fringe regular. Cano was an okay prospect before turning into a star. Go back and look through the worst ranked farm systems in history and, inevitably, they produced some decent big league ballplayers. Got ten questions for you in this week’s mailbag. You can send us a question at any time via the “For The Mailbag” form in the sidebar. We can’t get to all of them, but we’ll do our best. Arnav: Which cap do you expect Robbie to wear if he makes the HoF? Robinson Cano will actually spend more years with the Mariners (ten) than the Yankees (nine) when it’s all said and done. That said, I’m assuming the last few years of his current contract will be ugly, and he will have compiled most of his numbers in pinstripes. Even if he gets to 3,000 hits — a very real possibility at this point — more than 1,600 came with New York. He racked up 45 WAR with the Yankees and could finish his career with 70 WAR or so, putting him in Ron Santo, Alan Trammell, and Barry Larkin territory. More than anything, Cano became Cano in New York. That’s where he made his name and that’s the team I think most people associate him with. That could change if his next nine years are insane, but right now, before the 2015 season, I’ll say a Yankees hat. Ralph asks: I love this site, but I’m feeling a little old school. Can you explain these new acronyms (wRC+, LOOGY, etc)? Of course. Here’s a real quick primer on some of the acronyms we commonly use here at RAB. If there are any others you’d like to know, leave ’em in the comments and I’ll add as many as I can to the post. wRC+: Weighted runs created. It’s a measure of total offense relative to league average. Doubles really aren’t the same as two singles (which they are according to slugging percentage), for example, and wRC+ sorts all of that out while adding adjustments for ballpark and other stuff. 100 means league average. The bigger the number, the better. LOOGY: Lefty One Out GuY. A lefty specialist reliever. A Clay Rapada/Mike Myers type. FIP: Fielding Independent Pitching. A measure of a pitcher’s effectiveness based on strikeouts, walks, and homers only. The things he can control without the help of his defense, basically. FIP is scaled to ERA (so a 5.00 FIP is just as bad as a 5.00 ERA, etc.) and more predictive going forward. K% and BB%: Strikeout and walk rates. Instead of the more common K/9 and BB/9 — strikeouts and walks per nine innings — it’s just strikeouts and walks per batters faced. In 2014, the league averages were 20.4 K% and 7.6 BB%. GB%: Ground ball rate. Unlike K% and BB%, GB% is percentage of ground balls per ball in play, not per batters faced. The MLB average in 2014 was 44.8 GB%. So if I face 100 batters, strike out 30, walk ten, and get 30 ground balls, I have a 30 K%, a 10 BB%, and a 50 GB% (half the 60 balls in play). Got it? Good. Like I said, if there’s anything else you want to see, let me know in the comments. Frank asks: Mike Ford got a pretty positive write-up in McDaniel’s prospect piece. Is there a reason(s) why Ford doesn’t get more “prospect” love? I think it’s the stigma of being an undrafted free agent — those guys very rarely amount to anything — and the general lack of information about him. Ford was both the Ivy League Player of the Year and Pitcher of the Year at Princeton in 2013, yet it’s still hard to find a reliable scouting report on him. Ford is two months younger than Aaron Judge though, and he had a monster 2014 season, hitting .292/.383/.458 (138 wRC+) with 13 homers and more walks (52) than strikeouts (46) between Low-A Charleston and High-A Tampa. Given his status as a former unknown, Ford is going to have to prove himself at every level as he climbs the ladder. He’s an interesting guy to watch, but not any sort of top prospect. Not yet, anyway. Chris R. asks: Any thoughts on the recently released Dayan Viciedo? He is only 25 so there is some potential there for improvement. The White Sox designated Viciedo for assignment earlier this week and if he winds up getting released, I’d be fine with him on a minor league contract. The Yankees don’t have anywhere else to put him, really. Viciedo is a DH who’s hit .250/.294/.425 (94 wRC+) in his three full MLB seasons. That includes a .274/.318/.487 (115 wRC+) line against lefties, but “right-handed platoon DH” is hardly a guy worth a roster spot. Besides, the Yankees already Alex Rodriguez for that role anyway. I know he’s only 25, but age isn’t a get out of jail free card. Viciedo has been pretty bad the last three years and shown no improvement (he’s actually gotten worse each year). A minor league deal is fine, but I’m not giving him a 25-man roster spot. Dan asks: We have heard a lot about declining offense in MLB. Are there similar trends taking place in the minors and foreign baseball leagues? Let’s start with the hard data. Here is average runs-per-game total (for one team, not both teams in a game combined) in the five best pro baseball leagues in the world over the last five seasons. MLB offense is trending down. We knew that. The Triple-A International League has held fairly steady the last four years and the Triple-A Pacific Coast League has had some pretty big year-to-year fluctuations while still staying close to that overall five runs per game rate. I’m not sure how useful the Triple-A data is though because there is so much roster turnover each year. The Japan numbers are crazy. NPB started using a new ball in 2011 — they wanted to use something closer to the MLB ball, which is slicker and has higher seams — and it took a huge bite out of their offense. They went through a mini-Deadball Era until they switched back to a livelier ball for 2013. The problem? The league never told the players’ union they changed the balls in 2013 and eventually the commissioner had to resign as a result. KBO also switched to a livelier ball for the 2014 season and offense shot up. The two main leagues overseas decided to fix their offensive issues by changing the baseball itself and that seems like the easiest and quickest fix. I don’t know if it’s the best fix, but I like it more than eliminating shifts. Embrace creativity! Besides, I don’t think an extra seeing eye ground ball single or two per game is going to put much of a dent in the league-wide offensive numbers overall anyway. Gus asks: Everyone always talks about Jeter potentially wanting to own a team but we never hear anything about Mariano Rivera’s future with relation to MLB. Do you think that he may ever come back to the Yankees on either a full-time or even limited basis and in what capacity? I’m sure he’ll be back as a guest instructor in Spring Training at some point, but I’ve never thought of Rivera as someone who would return to baseball full-time after his playing days are over. Either as a coach or a special advisor to the GM or anything like that. I’ve always thought Rivera was more likely to dedicate his post-playing career life to building churches and charity work, that sort of stuff. I’m sure Mo will eventually be a regular Spring Training guest instructor, and I’m sure he’ll be involved in outreach programs for the Yankees and MLB, but a full-time baseball man? I would be surprised. That’s just my opinion. Rob asks: Rumor is the Yankees are looking to fight A-Rod’s home run bonuses based on his steroids suspension. Couldn’t teams write that sort of thing into contracts? That parts or all of a contract is void if there’s a positive test for PED’s? Wouldn’t it make sense since PED use is a risk for the teams as well? Nope. All PED-related discipline is handled by the collectively bargained Joint Drug Agreement. I think voiding a contract for PED reasons is a zero tolerance item for the players’ union. I think they’d go on strike before allowing that to happen. Making contract more easily voidable is not a precedent the union wants to set. MLB and the MLBPA agreed to beef up PED suspensions last year — first and second offenses went from 50 and 100 games, respectively, to 80 and 162 games — and the JDA is by far the best and toughest PED system in the four major sports. Letting teams void contracts for a failed test is a can of worms I do not expect the MLBPA to allow to open. Not unless MLB agrees to let players opt out of their contracts if they feel underpaid, of course. Dan asks: How do you think the clubhouse is going to receive A-Rod. The only guys who are still on this team from the last time he played are CC Sabathia, Mark Teixeira, John Ryan Murphy (for about a month), Ivan Nova (who will miss at least 2 months) and Brett Gardner. It seems like it would have been better for him to come back to a team where the guys know him for more than just his reputation. Don’t forget Brendan Ryan! He played with A-Rod a bit too in 2013. Dellin Betances too, I think. Anyway, I really have no idea how Alex will be received in he clubhouse. Some days I think it think he’ll fit right back and other days I wonder if the new guys will be uncomfortable. A-Rod has always been really good with young players though, both on the field and off the field, so maybe his presence in the clubhouse won’t be a big deal. A-Rod is a gym and baseball rat and he’s worked with a lot of young players — Robbie Cano took his game to another level after Alex got him to work harder, most notably — in addition to taking them out to dinner or buying them suits, that sort of stuff. The ol’ mentor thing. I’d like to think he would be accepted after serving his time, but who really knows. I don’t think there will be outright mutiny or anything like that though. Daniel asks: What do you think are the percentage probabilities that Tanaka will be the same pitcher he was in the first half of last year for a whole year, succumb to Tommy John, and stay on the field but not be the same pitcher? I’ll say … 20% he stays healthy and is the same guy, 60% he has his elbow rebuilt, and 20% he stays healthy but is not the same pitcher. Tanaka was insanely good last year — he had a 1.99 ERA (2.74 FIP) in his first 14 starts before the elbow started to become an issue — and I’m not sure we can realistically expect that over a full season. He had a 2.47 ERA (3.03 FIP) in 19 starts before that disaster in Fenway Park to close out the season, so maybe that’s the best realistic case scenario for 2015. As for the elbow, I’m just not very optimistic right now. I think it’ll give out at some point and soon. Not sure how anyone could expect differently. D.J. asks: What series with a National League team are you looking most forward to watching? Definitely the four-game home and home series with the Marlins from June 15-18. I love their outfield — it’s not just Giancarlo Stanton; Christian Yelich and Marcell Ozuna are two of the best young outfielders in baseball as well — and I irrationally love Henderson Alvarez. He throws in the mid-90s with nasty offspeed stuff, couldn’t miss a bat to save his life, and still dominates. I enjoy it because it’s so unconventional. Their bullpen is really fun too, they’ve got a lot of different arm angles (Steve Cishek), big velocity (Bryan Morris), and big breaking balls (A.J. Ramos). Jose Fernandez might be back by time that series against the Yankees rolls around as well. Miami has themselves a fun up and coming roster this year.